A Mercedes-Benz welcome doesn't stop at the reception desk. From Vermont to California, Mercedes-Benz drivers are greeted at some of the country's very best resorts and hotels with exclusive extras -- including welcome amenities, room upgrades and credits toward additional services. And should you want to adventure beyond such extraordinary surroundings, select Mercedes-Benz vehicles are available for that purpose. Take advantage of the offers below through Mercedes Me. Nestled in the cooling foothills of Pinnacle Peak, Four Seasons Resort Scottsdale at Troon North offers a truly handcrafted resort experience - delivering impeccable, highly personalized, Five-Diamond service amid the rugged beauty of the lush Sonoran Desert. From the art on the walls and the cuisine in the restaurants to Native American-inspired spa treatments and adobe-style architecture, the Resort embodies a true "sense of place" in the heart of the Arizona Sonoran Desert. Terraced down the hillside with views of the Napa Valley, all accommodations at Auberge du Soleil feature Mediterranean-inspired decor with original contemporary art. All guest rooms, suites and maisons feature Italian linens, down bedding and duvets, Auberge du Soleil's custom-made bath amenities, plush robes and slippers and private outdoor terraces for relaxing or dining. 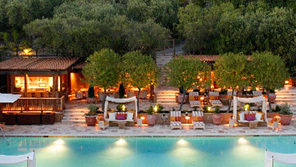 The Bernardus Lodge & Spa is nestled in sunny Carmel Valley on the famed Monterey Peninsula. Tucked among 28 acres of rolling vineyards, orchards and gardens, escape to our near-perfect climate, a tranquil setting and rich sense of place within one of Northern California's most artistic towns. Stroll our organic chef's garden and watch a true garden-to-table experience. Grab a gourmet basket. Share a glass of Pinot. Release into a signature massage. Dabble in Carmel's endless pursuits, all individualized by our local staff for the ultimate insider's experience. 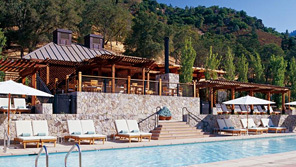 Located in a secluded Napa Valley Canyon, Calistoga Ranch encompasses 48 luxury guest lodges, a private lakeside restaurant, a world-class spa, onsite vineyard, hiking, biking, pool and fitness center. 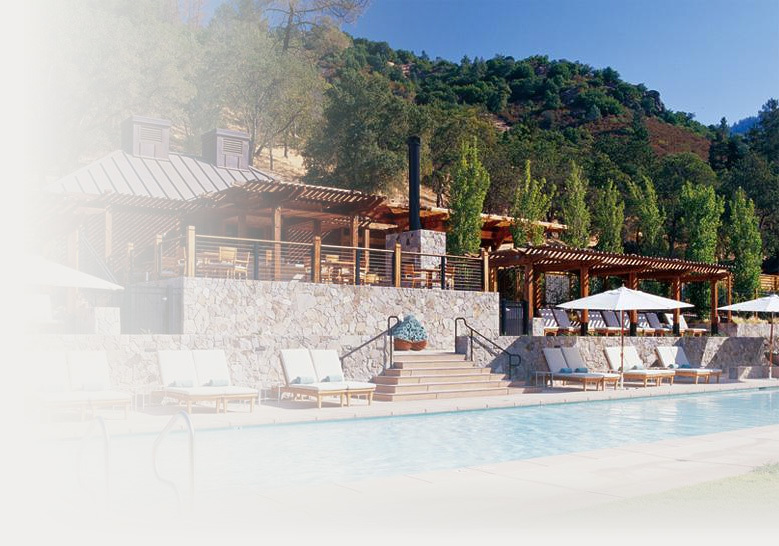 Situated on 22-acres in the heart of Napa Valley wine country, Solage Calistoga is surrounded by panoramic mountains and picturesque vineyards. The 89 guest studios feature a fresh contemporary style that compliments the resort's relaxed approach to the wine country lifestyle. 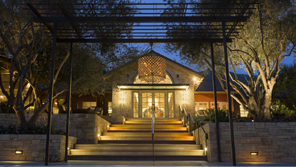 Solage offers the best of Napa Valley dining with seasonal, ingredient-driven fare at its Michelin Star-rated Solbar restaurant, and award-winning spa experiences at Spa Solage. 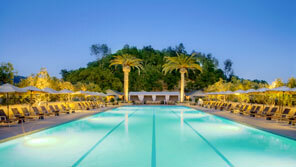 At Solage Calistoga you'll find countless ways to relax, refresh and enjoy. 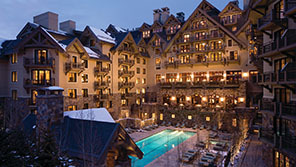 At the gateway to Vail Village, Four Seasons Resort Vail presents a fresh interpretation of a grand alpine hotel. With 134 accommodations and private residences, the Resort features amazing mountain views, modern mountain cuisine at Flame and The Remedy Bar, and a full-service Forbes Five-Star Spa with 13 treatment rooms. 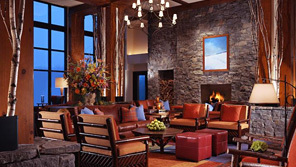 The Resort offers the largest guestrooms in the Vail Valley, each with a soaking tub and a stone fireplace, and is just steps away to shopping, al fresco dining and the renowned Village "après" lifestyle Vail is known for. Discover effortless enjoyment, as Four Seasons redefines this elevated all-season resort. 50 minute spa treatment per room per stay, room upgrade (based on availability), welcome amenity and complimentary overnight parking. 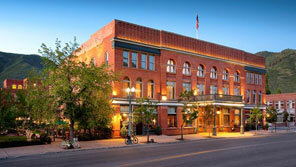 Hotel Jerome, an Auberge Resort, is the grand dame of Aspen. Located in the heart of downtown Aspen and surrounded by the magnificent Rocky Mountains, Hotel Jerome offers an elegant and relaxed ambiance, impeccable service, unsurpassed accommodations and exquisite dining. This award-winning hotel features 94 beautifully appointed guest rooms and spacious suites decorated in comfortable, sophisticated décor. The legendary J-Bar is a favorite of locals and visitors alike. 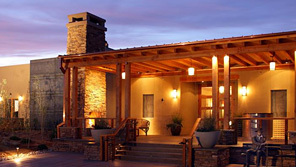 Situated in the foothills of the dramatic Sangre de Cristo Mountains, the new Four Seasons Resort Rancho Encantado offers an oasis of serenity and the perfect base to explore the majesty of Santa Fe. 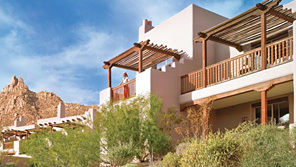 Southwestern and regional influences are found throughout this luxurious resort set on 57 unspoiled acres. Unwind with a spa treatment featuring indigenous ingredients, delight in the restaurant's inventive interpretation of classic Southwestern cuisine, and embrace the outdoors and local culture with a guided tour from the new on-site adventure center. 50 minute spa treatment per room per stay, room upgrade (based on availability), welcome amenity, (1) complimentary cocktail and appetizer per adult per stay in the Terra Lounge and complimentary overnight parking. Perched high on the bluffs of Watch Hill, Rhode Island, Ocean House is an iconic New England seaside resort, and the first and only AAA Five Diamond and Forbes Five-Star hotel in the state. Ocean House was meticulously reconstructed to pay tribute to its storied past and offer exceptional personal experiences for guests, members and residents. Open year-round, Ocean House's celebrated hotel and residential accommodations, uncompromising service, beachfront location and world-class amenities pay homage to New England's golden age of hospitality with timeless elegance and renewed civility. $100 resort credit, complimentary welcome amenity, complimentary upgrade at time of arrival, based on availability. In the midst of nature and the height of luxury, Stowe Mountain Lodge is at the base of Stowe Mountain Resort and Mt. Mansfield, Vermont's highest peak. This ski-in/ski-out destination offers unlimited activities for all four seasons, including an exclusive 18-hole Bob Cupp mountain golf course, a world-class 21,000 square foot spa, a year-round heated indoor/outdoor pool, snowshoeing, fly-fishing, biking, hiking trails, world-class function space, Vermont inspired farm-to-table cuisine, and an Alpine Concierge. Nestled on the ski slopes and minutes away from Grand Teton and Yellowstone national parks, Four Seasons Resort Jackson Hole offers new heights of mountain luxury amidst the rugged wilderness of the American West. 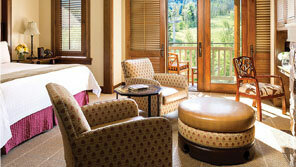 Enjoy Four Seasons luxury with ski-in/ski-out access in Wyoming's spectacular Teton Mountains during ski season. When the weather turns warmer, the Resort serves as your Base Camp for adventure in the nearby national parks. Book a private wildlife safari with the in-house Wildlife Biologist or plan a full day of fly fishing on the Snake River.